Effectively reduces chlorine taste and odor as well as typical contaminants found in tap water. Get healthier drinking water for less money – a cost effective alternative to OEM filters. Made from renewable Activated Carbon Media – environmentally friendly. Quick and easy to install – Our filters are the same size and shape as the factory model at a fraction of the cost. EcoBlueLife filters will provide 300 gallons of crisp, clear drinking water. Tested and professionally certified by the Water Quality Association to NSF/ANSI 42 Standards for Chlorine Reduction and tested and certified by WQA to NSF/ANSI 372 standards for Lead Free Compliance. Professionally certified by the Water Quality Association. Tested and certified by WQA to NSF/ANSI 42 Standards for Material Safety and Structure Integrity. All components and filters are tested to meet EC 1935/2004 Regulations. Water tastes just like I used name brand filter.Will buy again. Installs and fits perfectly. Exactly the filter required for my LG fridge – delivered super quickly. Changing the filters in the fridge is very necessary. I live in the city where they have waterline breaks every once in a while. I buy the multiple packs of filters and if I have brown water coming out of the faucet, I know to dump all the ice, take the old filter out and change the filter because I’ve had a fridge that somehow gotten something in the interior of the fridge and no matter what the repairman did the water was horrible. With these economical filters it’s not to bad to change them whenever needed and not have to worry about nasty water. No issues. Fits like the OEM unit. Great product at a great prive. Prompt delivery, reasonably priced and fits perfectly in our filter compartment. Good price for a replacement filter on Kenmore refrigerator! This is the second time I have purchased this filter. It is an economical alternative to the LG filters. I have noticed no difference in the quality of the water during the use. so convenient to order online. Fits well in our Kenmore refrigerator. Have only been using for a few days and so far the filter is fine. I put it in without telling any of my family and no one has noticed a difference. For the price and the taste, I think it is well worth it. This filter saved me money and has performed just as well if not better than the LG brand! Great Seller. Fast shipping and a great filter. Broken water line to the house. All sinks ran dirt and sand…not the fridge! Filter caught all the sand and dirt. Follow up to my original rating…I really didn’t expect a new replacement filter for free to make my satisfaction whole. Thank you for upholding your value of keeping your a satisfied customer. I will re-order again in 6 months when a replacement is due. Thank you!! Awesome for the PRICE !!!!!! Very good filter. Water tastes great. Love the price!! Perfect replacement for my LG refrigerator and at great price. Cheaper than the name brand. Water flows well and tastes good. I just removed this filter after its 6 months of use, so figured I should review it. I have nothing to report except 6 months of great tasting water! It works just as well as the LG filter, but for a LOT less money. Sears can send me notices to buy the Kenmore/LG filter as much as they want, but I’m not going back…lol! We are very pleased with the EcoBlue water filter. Works just fine at a much more affordable cost. Installed easily and I can’t tell any difference between this and the branded one for the refrigerator. Much less expensive. I will buy this again. Just what I needed at a fair price, very happy with it, even if running enough water through it initally can be irritating (this applies to any and all filters you install new). Very good, I got 2 so I have one for the next time I need to replace. ***Honest review from a sample tester***Fit my LG perfectly even though its model isn’t listed on the website. I believe new LG models use an universal unit.I have used OEM all the time, so I have never rinsed it thoroughly before use. For this brand, you have to rinse several times to remove any loose charcoal. Otherwise, you will get water or ice with charcoal in there. Arrived and is in the fridge! Thanks! 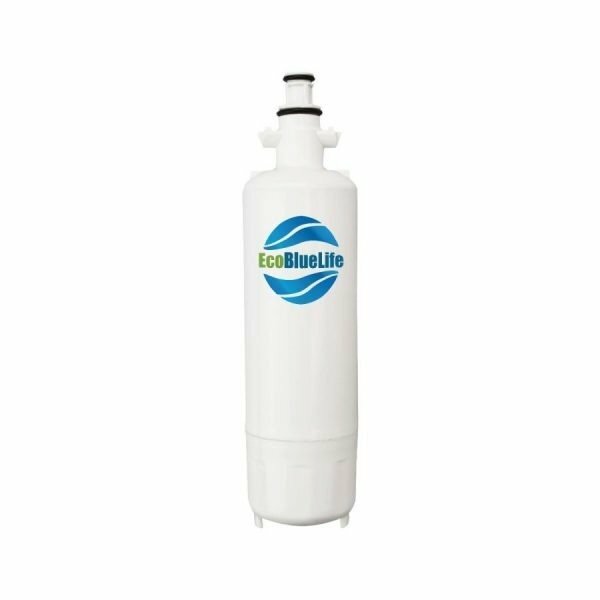 The LG LT700p & Kenmore 469690 Compatible Premium Replacement Water Filter by EcoBlueLife is the perfect replacement for your refrigerators water filter for a great price!I have a Kenmore and I recently ran out of water filters. I would always buy from Kenmore themselves thinking that there was no other filters that would work with my fridge and there water filters would cost me an arm and a leg! 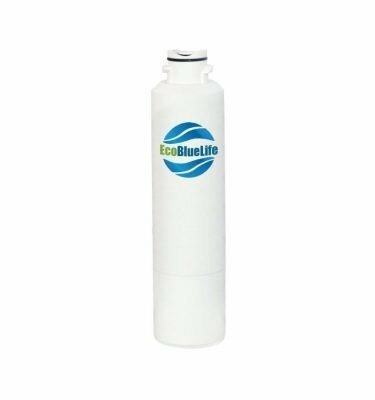 I found EcoBlueLife and was immediately blown to see that I could have been getting my water filters for an amazing price! !The quality of the water and taste is fantastic with EcoBlueLife. It doesn’t leave that disgusting taste in your mouth like some water filters do. 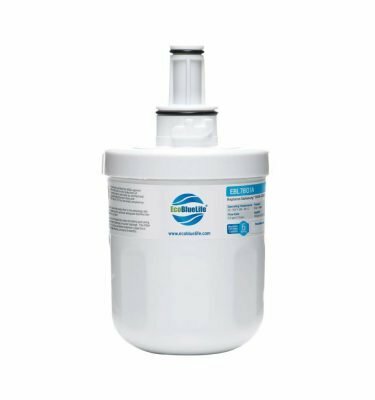 I definitely will be buying from EcoBlueLife from now on for my refrigerators water filter!I hope my review and feedback helped you with your purchasing decisions on this product. I received this product for free with a request in exchange to provide a very honest and unbiased review. This in no way has impacted my review of this product. I write reviews for items I have purchased and used myself, however my opinions and experiences are solely my own. I hope this review helped you in anyway possible. it fit perfectly in my LG fridge (but what a pain that I have to pull out the top shelf of my refrigerator to put a filter in! ).It was easy to install, and since it is a while since I replaced my filter (it’s a weekend house), i forgot that the first bit would sputter and splash and I need to run some water through the filter before it is good to go.The water tastes fine, and a bit more crisp than water had been with a nine plus months old filter (and thus in for longer than LG indicates). I can’t answer as to how long this filter will prove effective, but so far, so good, and it appears to work as well as the LG branded (and much more expensive) filter.I will be using this brand in the future.I received this product at a discount in exchange for my honest and unbiased reviews. I have give low reviews to products I have received for free or at a discount in the past and will not hesitate to do so now or in the future. Shipped fast, looks just like the one we had. I received this product at a discount in exchange for my honest review. Great value for a replacement filter. Fits perfectly and seems to be just like the expensive name brand filters. Good buy! Excellent water filter. Body of filter lists the same quality testing certification labels as the OEM filter. Fits into refrigerator perfectly – same as OEM. 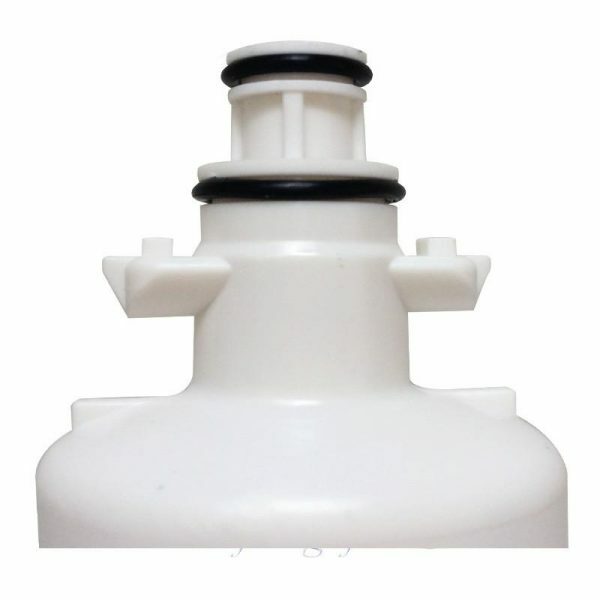 As for all water filters it requires about 1 quart of water run through it to flush the filter’s carbon filtering agent. After the flush it works just fine. I would highly recommend this product – high quality and excellent price. 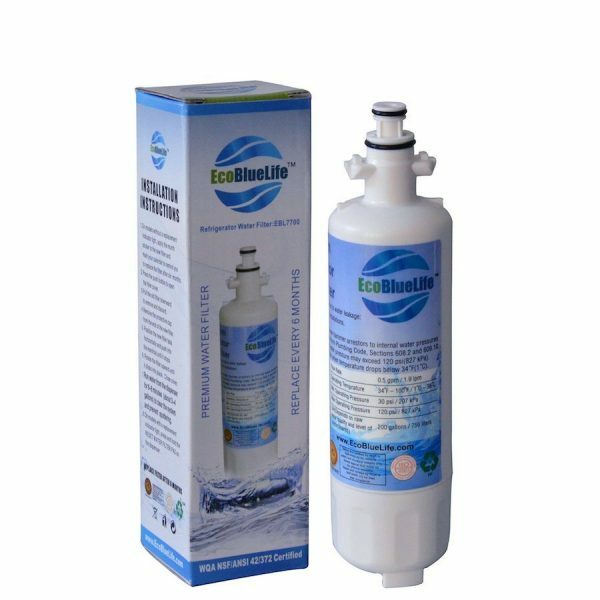 EcoBlueLife LG LT700p & Kenmore 46-9690 Compatible Premium Replacement Water FilterI replaced my filter over the weekend and it works just fine same as if I was to buy from LG (expensive). It fit perfectly like the LG filter did. I then started flushing the water to clear out any air and the water came out BLACK for the first few cups, followed the instructions to keep the water running for a couple of minutes, Then it gradually got clear and normal. I was a little scared to taste the water after seeing that but it came out tasting normal. Very happy with this purchase and will buy it again. hope this review helps. This filter works great with my fridge. 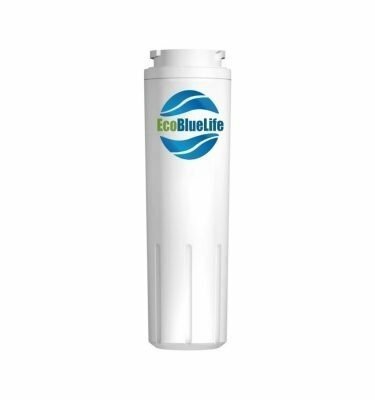 Very happy with the EcoBlueLife Replacement Water Filter. It works much better than a previous replacement filter we ordered. I’ve purchased previous filters from Home Depot. I decided to try this one as the price was less than half of what I was spending! I’m so glad I tried it! So far, works perfectly and can’t tell the difference between this one and the OEM. Will be buying more of these! This product works great in my LG fridge. Love it and for the price you can’t beat it! It is amazing how much faster the water is dispensed when a fresh filter is used. This filter was easy to install and works well. I was excited to see that I can now purchase MUCH less expensive compatible water filters for my LG refrigerator rather than the ridiculously priced LG water filters. When we purchased our new LG refrigerator we bought the extended warranty mainly because by doing so we would get a 30% rebate on the water filters every 6 months over the course of the warranty which the savings would in turn pay for the warranty. The regular price for the LG water filter for our refrigerator is $49.98 and with the warranty we can get a $15 rebate bringing the cost of the filter down to $35. If we purchased a filter every six months as suggested by the manufacturer during the 5 year warranty the savings would be equal to what the warranty cost ($150). Sounded like a win/win — coverage for the refrigerator and the savings on the water filters would pay for the warranty. However, we have had our refrigerator almost two years now and have only purchased 2 water filters (we just don’t use that much filtered water/ice). In fact, when we have replaced the filter, it didn’t really need to be replaced. The water still tasted good and the ice was still crystal clear. We only did so because 6 months had passed. Anyway, you have to call and request a rebate submission authorization and after sending them the documentation it takes about 2 1/2 months to get the $15 rebate check. Ended up being a lot of trouble for $15 in my opinion. 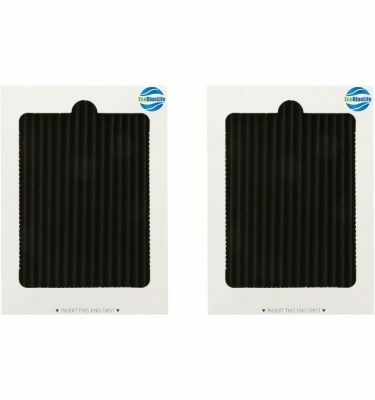 Since these filters are under $20, they work every bit as well as the LG filters, and I don’t have to submit a rebate request and then wait for my rebate check, I will continue to purchase these at a great price without all the hassle! I love this filter! As good as the Kenmore brand, no leakage, water tastes great, easy to install. Will buy it again!